On the basis of cooked rice paper coated with a good ink-absorbing and no ink paint, the advanced calligraphy paper uses cooked rice paper as the body paper. This thesis sets styrene-acrylic emulsion as binder, porcelain clay and zinc oxide as pigments. 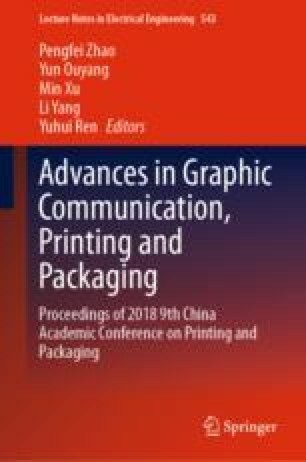 Firstly, it discusses effect on the performance of senior calligraphy paper writing caused by the two kinds of pigment preparation in different proportion and adhesion-filling ratio of different coating. Secondly, it implores the impact of different coatings on paper performance, such as tear, tensile strength, smoothness, and gloss. The result shows that when the styrene acrylic emulsion used as binder, ink absorption increased gradually with the increase of adhesion-filling ratio; tear, tension and gloss increased with the increase of clay and the decrease of zinc oxide, the decrease of smoothness; when the porcelain clay: zinc oxide is 2:3 and adhesion-filling ratio is 1:4.5, the whiteness, smoothness, and gloss of the Xuan paper are significantly enhanced after coating of the sample. The ink is not scattered during writing, the lines are neat, delicate, unbreakable, no ink paint, dense and bright surface, and with good writing performance.